The Scrappin' Mama Studios: The psychosis of a stressed scrapper! The psychosis of a stressed scrapper! Well I just thought I would share with you some of the scrapbook pages that I have done of my summer so far. But I have to tell you it has been one he—of a summer. Drama, drama, drama, drama. Lord love a duck, just when you think you get one crisis dealt with in a day, then comes another one, and another, and another. Sometimes a dozen in a day, so how in the world are you suppose to find time to scrapbook anything? Yes I do admit I took the lazy way out. 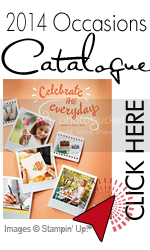 I grabbed my digital photos and just simply used my favourite scrapbook program. 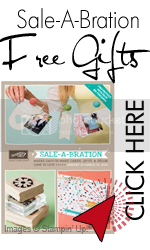 In case it wasn’t obvious: it is the My Digital Studio from Stampin’ Up! Gee now isn’t that a shock to the system, ha ha ha ha. I could spend all night exalting all the virtues of how easy and fun it is to use the program but I am now in the business of sharing my life with you instead of trying to sell you on anything. I must admit I do miss the hard copy scrapbooking, I just really haven’t found the time to do that. Trying to deal with all the drama around here takes up the majority of my time, not to mention the housework and just dealing with daily lives. I give kudos to those who hold a job and still manage everything else in their lives. So tomorrow I have a house to get ready, a memorial to put together for my father (it will be 2yrs since he passed on Friday) and anything else I need to do before my Mom comes on Friday for the weekend. All I know is that every day is a struggle and if you can find tidbits of time to remember the good stuff—all the more power to YOU!!! Count down has started on my new launch! I Hope your summer is going well? !